I have been working recently on project Solar System. The idea is to allow user to view every planet in our solar system, zoom in out, rotate find the distance between planets, difference in mass etc. I found maps from all the planets and unwrap it on sphere so it represents exact surface of each planet, at least solid once. Jupiter which is gas planet have correct map as well, however Uranus and Neptun won't have detailed map as they are vague. 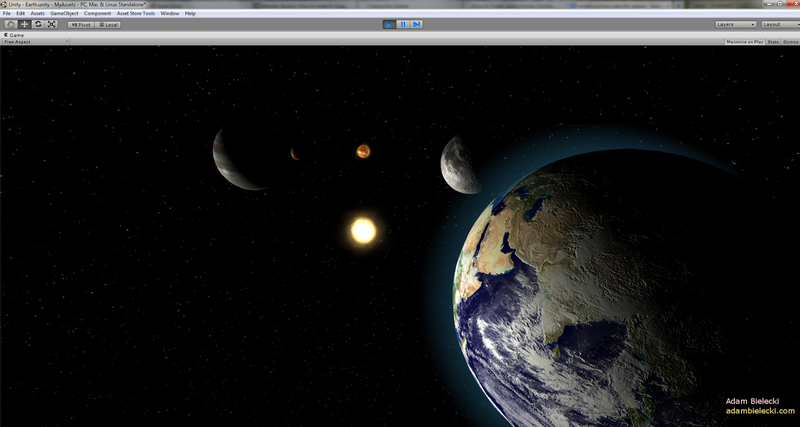 First screenshot - please ignore logic around how the planets are placed, it is just first showcase. In next release I will make sure good ratio is provided. Any feedback, comments and suggestions are really appreciated.